Locktech USA Locksmith has been providing locksmith services in New York metropolitan area including Little Italy for over 10 years. 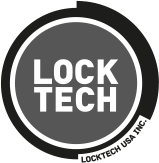 Locktech USA Locksmith provides full home and office security system including quality residential and commercial locksmith services as well as door, window date, intercom and CCTV installations in Little Italy, New York. As one of the biggest 24-hour locksmith service provider in Little Italy, New York, we pride ourselves on technical excellence and exceptional customer service. No job is too small or big for us, call us today and you won’t regret! 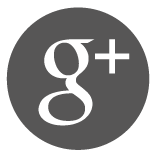 Each client is important to us, and we take a good care of each customer of ours. We offer a wide variety of services in Little Italy, New York. Our services include lock replacement, lock installation, 24-hour emergency lockout service, front door repair, deadbolt installation, intercom repair and installation as well as accesses control systems installation. As one of the most highly-rated locksmith in Little Italy, New York, Locktech USA guarantees our customers 100% satisfaction. Our technicians are fully bonded, licensed and insured. Locktech USA Locksmith guaranties fast and reliable lockout service in Little Italy, New York. Our technicians are available 24 hours a day, 365 days a year to provide you high quality locksmith emergency service. Don’t worry if you lost your keys, just call us now for technical support at 212-810-7829. We promise that not matter what we will be able to let you in quickly and safely, and if needed, we will provide you a new set of keys. Locktech USA Locksmith provides both residential and commercial locksmith services. Whether you want to install or replace your locks, install a new door closer for the building front door, or create a master key system for your current lock system, all you need to do is just call us 212-810-7829. We carry all major brands such as MulTlock, Medeco, Yale, Siegel, Schlage and many more. We install electronic locks and smart locks such as August and Kevo. We can also install a high security deadbolt for you, or replace your Marks mortise lockset or repair it.